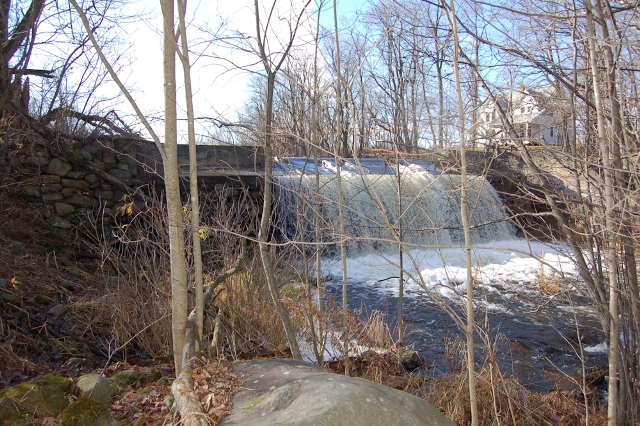 Mill dam. The Mill at Freedom Falls, Spring 2012. During its operation as a gristmill during the 19th century, the Mill at Freedom Falls was powered by three 8-foot diameter “tub wheels” and one 2-foot diameter “Fuller” wheel housed within the foundation. 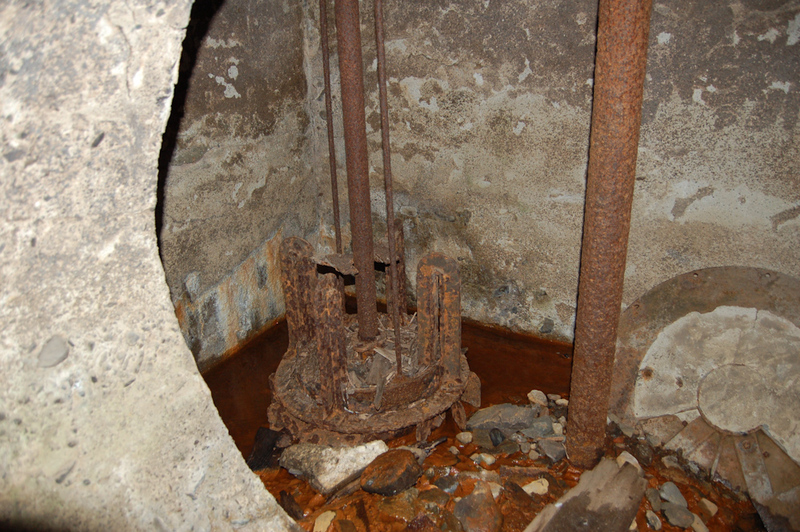 The water to drive the wheels came through a penstock running from a flume structure perpendicular to the dam and running parallel to the southern face of the mill. The water exited the building under its eastern wall back into the streambed. This system was apparently also used during the early stages of operation as a woodturning Mill until 1927 when the dam was rebuilt and a large concrete wheelhouse was built within the Mill’s foundation to house metal-bladed turbines. 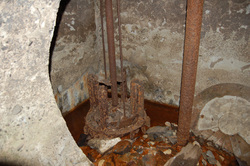 Throughout its operation as a turning mill the source of power to drive the equipment was this mechanical waterpower. The proposed hydropower system will involve repair of the dam, gates and sluiceways, removal of silt that has built up behind the dam, installation of a 30-inch diameter penstock taking water from the dam into the foundation, placement of a 50 kW turbine being provided by Natel Energy, and repair of the tailrace below the eastern face of the mill. The system will provide approximately 70,000 kWh per year, after allowing for downstream eel passage, aesthetic flows over the spillway and continuous watering of the main stream channel below the dam. It has been proposed to FERC that this hydropower system be exempt from licensing because of its small size. The exemption application is extensive, requiring consultation with all possibly interested regulatory agencies (federal, state and local), and the public and the Penobscot Tribe, since this was historically Penobscot territory. Although all of the above have encouraged proceeding with the project and have found no detrimental environmental effects, it will still take over a year from start to finish to receive this exemption. Interestingly, the FERC exemption would not be required if we were using mechanical waterpower. It is connecting to the grid that puts the facility under FERC’s jurisdiction. The main reason this project is not more complicated environmentally is that there is no evidence of historical migration in this stream of Atlantic Salmon (a federally listed endangered species) or alewives. American eels are the only migratory species, and providing passage for them is relatively easy and inexpensive. 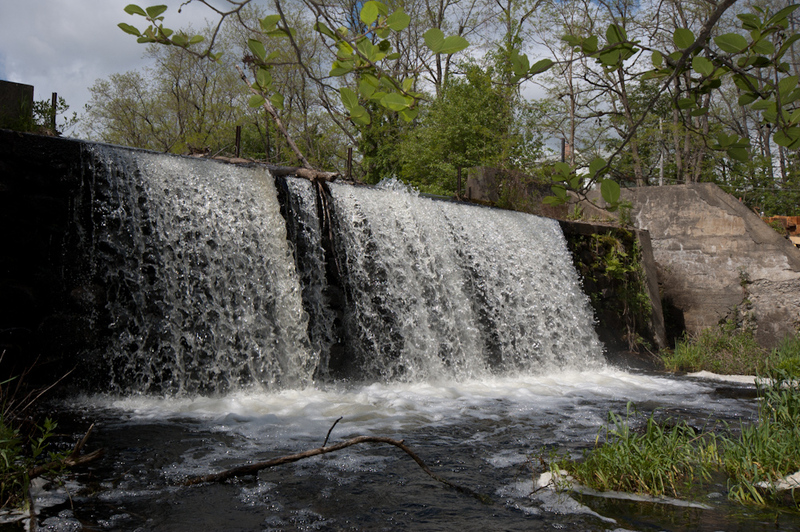 Click here to view hydropower plans for the mill and take a look at our blog which has some great photos of the repair and restoration of the hydropower systems.